Baxter was a kitten born of a feral mother. When he was old enough to be weaned, we caught him and brought him inside to socialize him, and he developed a great personality, super friendly with people as well as with other cats. 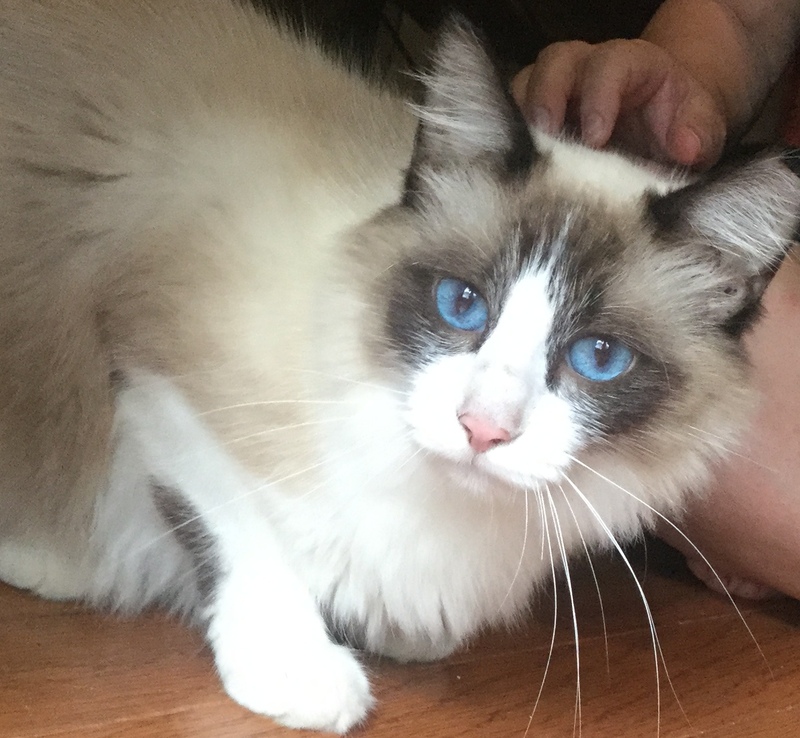 When he was 6 months old, though, we noticed pus and inflammation in his left eye. We learned from the eye doctor that he had a piece of skin growing inside in such a way that hair was brushing against the eye ball, causing irritation and infection. He needed surgery. The problem was that the eye clinic required $ 1,900 to remove the piece of skin, and that was well beyond any money we could raise. I took Baxter to my vet, Dr. Bryant, at the Parmer Lane Pet Hospital, and asked her if she could do the surgery at a more affordable cost. Dr. Bryant had not done this before, but she talked to a doctor at the eye clinic who explained the procedure. Confident that she could do it, she agreed to operate on Baxter and was able to remove the problem skin at a fourth of the eye clinic quoted price! 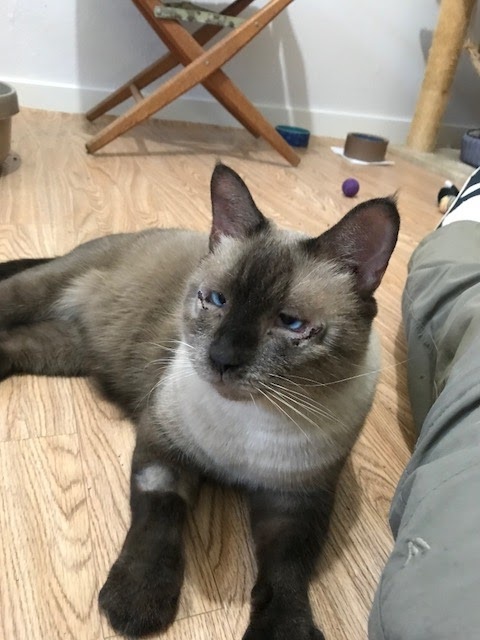 Baxter had a full recovery and his eye is now functioning correctly. He was adopted two months later and his new family adores him for a reason: he deserves a gold medal for being the most affectionate cat on the planet. Thank you Dr. Bryant! Rocky was born to a feral mother, but he was too gorgeous to be left on the street. Several neighbors noticed him and worked together to give him a chance at a safe and hunger-free life. They trapped him and put him thru the Austin Humane Society feral cat program, then proceeded to tame him. At three years old Rocky had a long way to go, but the compassionate neighbors persevered. Although still shy with new people, he became very friendly once he got to know someone. He learned how to use the litter box, enjoyed being brushed and petted, got along well with other cats, and adjusted to living mostly indoors. 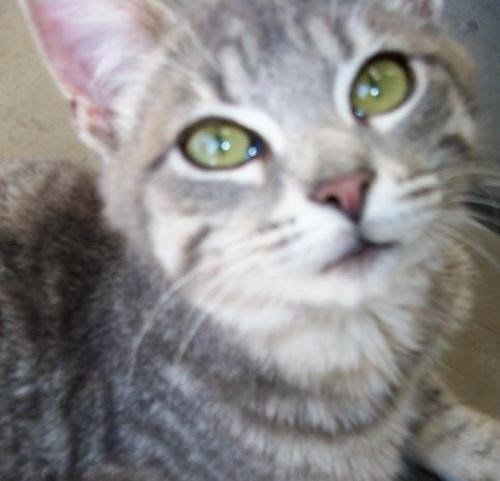 With the help of Cats' Angels, Rocky has now been adopted and he is ever so thankful for his new, safe lifestyle. Rocky will never be hungry again! From Gwen Cooper, the author of the memoir Homer's Odyssey: A Fearless Feline Tale, or How I Learned About Love and Life with a Blind Wonder Cat. Homer's true story was a New York Times bestseller, and has been published in more than 15 languages and 22 countries around the world. As you may have already heard, we recently had to make the difficult decision to put Homer to sleep. I've written a piece for the Huffington Post. It's about Homer, but also about all the other special-needs animals out there, none of whom are too "imperfect"--too blind, too deaf, too "wobbly" (or any of the numerous other maladies we see in rescue)--to be capable of loving or worthy of a chance to thrive in aloving home. 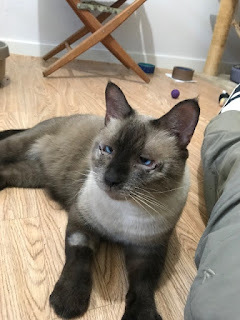 With Homer's passing--and in light of the hundreds of people I've heard from since Homer died, who've told me that they themselves were inspired to adopt a blind or otherwise special-needs animal because of Homer's story--there's an opportunity to have a larger conversation about "imperfect" animals. These differences are just that--differences. They aren't reasons not to adopt. Find out more here or on their Facebook page.